Stay updated with Resonado’s most recent news. We've been selected as a Semifinalist for the AlphaLab Gear Hardware Cup, a pitch competition for early-stage hardware startups. The Hardware Cup team is traveling to 7 cities to find and highlight the most promising physical product startups in the nation. The winner of the International Finals will receive a $50,000 convertible-debt investment from Startbot VC, among other cash and prizes. Come watch us pitch in Chicago and vote for us for the Audience Favorite! Register here. 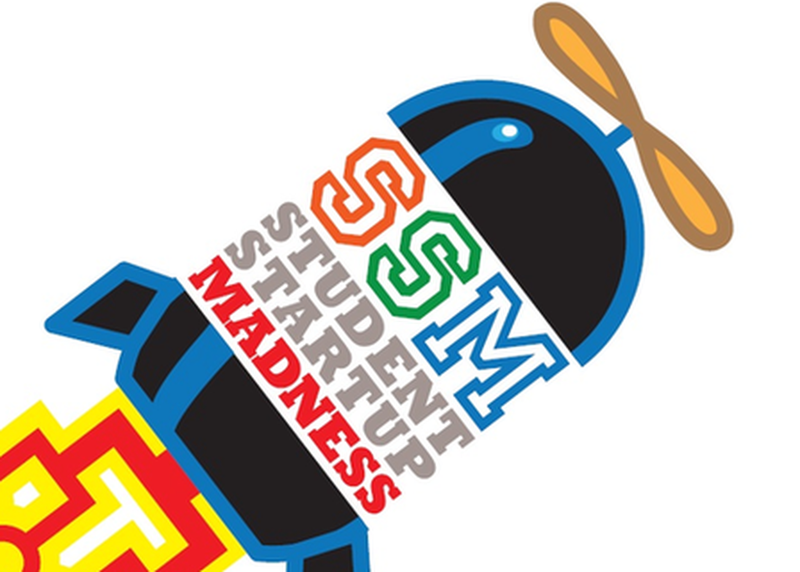 Resonado announced as one of the top 3 companies out of 200 at the Student Startup Madness Competition at SXSW. Resonado to compete in the Rice Business Plan Competition against startups from the world’s top universities. Resonado will join the ranks of great companies that have passed through their events over the past decade such as GrubHub, ShearShare, Maxwell Health, Groupon and Uber. 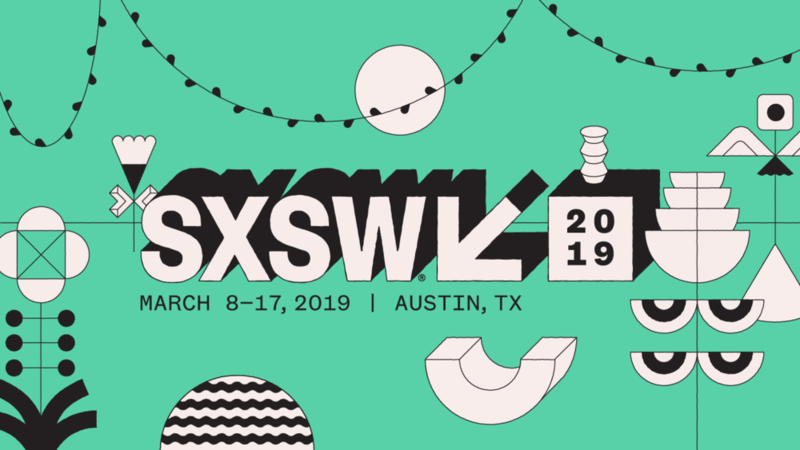 Resonado will be presenting as one of the 8 Finalists at the Student Startup Madness Competition at South by South West (SXSW) Conference. Resonado will be representing the University of Notre Dame as one of the most promising startups founded by college students. Read press release here. Resonado participated in PitchForce Pitch Competition in Menlo Park and won the 1st place. Kudos to our CEO, Brian Cho! Resonado won 3rd place from 2018 Innovation Showcase at Indianapolis. Kudos to our CMO/COO, Erikc Perez-Perez, for delivering a killer pitch! Bontena publishes news, interviews, and information about up-and-coming businesses. 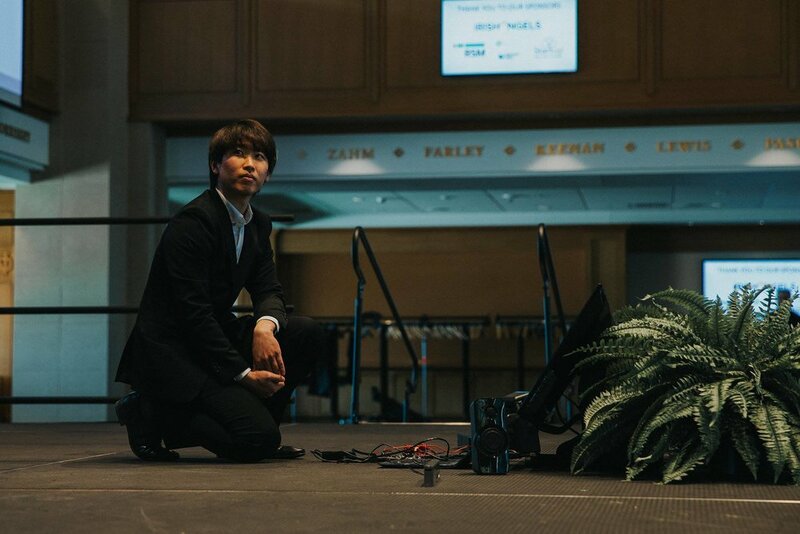 They recently published an article describing Resonado with a focus on CEO Brian Cho's background, a description of FCS technology, information about Resonado products, and awards Resonado has won thus far. The article provides a good overview of information about the company for those who are learning about Resonado for the first time. Read more about this article here. TechCrunch (TC) is a technology news and analysis platform that is committed to profiling startups, reviewing tech products, and informing the world of upcoming technological breakthroughs. They are frequently referred to as the #1 guide for all things tech thanks to their outstanding efforts to review technology and startups. Each year they host an event called Disrupt San Francisco and invite a few elite startups as TC Top Picks which allow the chosen startups to be highlighted throughout the 3 day event. Five companies are chosen across 11 different categories as TC Top Pick startups. Resonado was chosen as a TC Top Pick and will attend the 3 day event in early September. This award includes a free Startup Alley Exhibitor Package, three Founder passes for the event, use of CrunchMatch, access to the Disrupt SF 2018 press lit, and a three minute interview on the Showcase Stage with a TechCrunch editor that will be promoted across TC social media platforms. Find out more details in this article. Resonado was invited to join the annual Mountain View Showcase alongside major companies including Google, LinkedIn, and LimeBike. This is the city's fourth year hosting a Technology Showcase which has become a premier event for the Mountain View's business. Resonado was honored to be a part of this event and share our technology with other companies in the area. When Resonado, formerly known as Flato, initially launched in May of 2017, the company was consumer-facing and focused on selling their products, the Mini-O and Bluepot. Flat Core Speaker technology (FCS technology) allows us to create speakers that are thinner, lighter, and higher quality, and naturally the speakers made with FCS Tech have unprecedented quality when compared with other speakers of that size. Selling Mini-Os and Bluepots was wildly successful and helped us get where we are today. In total, Resonado has made over $60,000 in revenue from selling their products on various retail platforms. Though focusing on consumer-sales has done Resonado well, we’ve realized that our greatest potential lies in B2B sales. We have received overwhelmingly positive feedback on this decision which was made after much discussion with our advisors and industry experts. By immediately pursuing business to business relationships, we will be able to address a larger market and follow a more direct path to achieving our mission of bringing Flat Core Speaker technology to the world. Progress has already been made towards this goal through relationships we have established with multiple corporations in consumer electronics, recreational vehicles, and automotive industries. Resonado’s leadership team will be joining the the ABC Accelerator Program this coming summer to raise it’s seed round funding and develop connections with companies and investors in the Silicon Valley. During Notre Dame’s 2018 Idea Week, all 169 startups who participated in McCloskey competition were invited to showcase their companies at a booth-style event. Each member who came was given tokens as a form of voting power at the door and told to allot their tokens to the booth they thought had the best showcase. 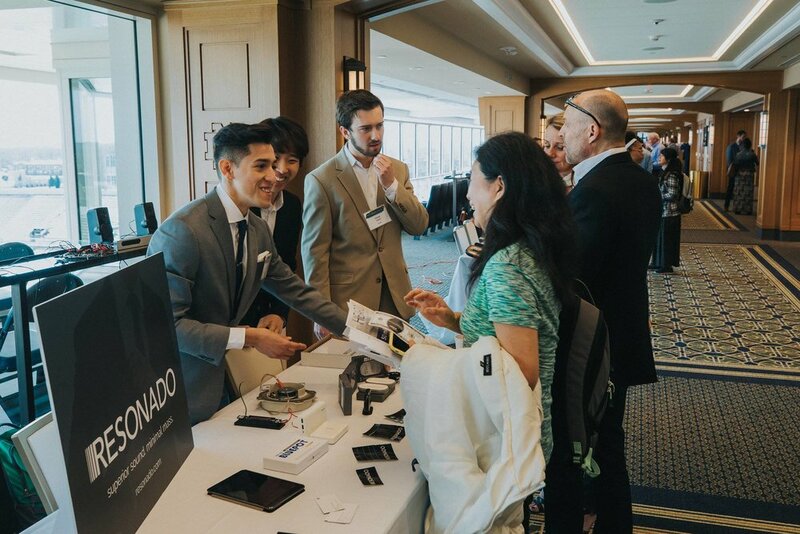 After showcasing Flat Core Speaker’s technology and capabilities, Resonado received the most attention from other members at the showcase event. We were awarded the Best Startup Showcase Award later that evening. As one of the most promising startups arising from Notre Dame Idea Center, Resonado interviews with WNDU and explains how its technology is going to disrupt the audio industry. Meet the leadership team of Resonado: Brian Cho, Peter Moeckel, and Erikc Perez-Perez. 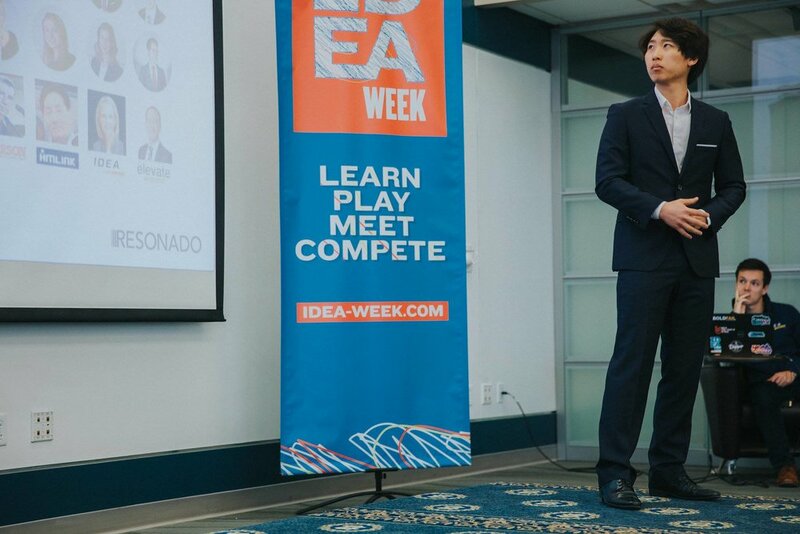 Resonado was featured in 2018 NDDay as one of the most successful student startups on campus. Flato, now known as Resonado, launched our first product, the Mini-O, on Kickstarter. The Mini-O is one of only two products created with Flat Core Speaker technology available in the United States. The campaign had 189 backers who pledged $15,092, which greatly exceeded their goal of $10,000. The Mini-Os are sold in pairs, and each Mini-O is slightly larger than a credit card. Weighing only .16 pounds, they can easily slip into a pocket or bag and be carried anywhere. They are equipped with True Wireless Stereo Technology which allows the Mini-O pair to be connected to the same device via Bluetooth which offers incredible stereo surround sound. The Mini-O’s sleek, slim, and durable design allow them to be used in any environment, from a mountain hike to a dorm room. Find out more details by viewing the Kickstarter page. Read more about the Mini-Os here or here.